Here are some stuff I'm working on. I have made a lot more, but they are not published. This is under development. Feel free to tune in, join the chat and say hi! I was playing around with Three.js and some Minecraft sprites, making them move in 3D-space. 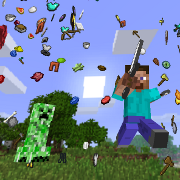 I got some response from Mr.doob (creator of Three.js) and got motivation to add Steve running from a Creeper, more cameras and a skybox (Minecraft's main menu background). Thank you Reddit for posting it and Notch (creator of Minecraft) for tweeting about it, causing a massive pressure on my 0.8 Mbit/s upspeed (I have 10 Mbit/s now)! The page had over 40000 views that weekend. 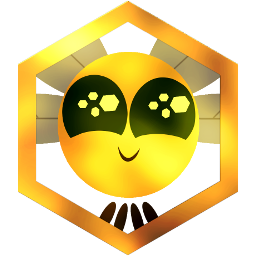 Also, thank you GameChap and Bertie for creating a video of it! A countdown showing the amount of days until next Ubuntu version. 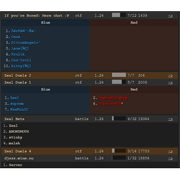 Made with HTML5 Canvas and CSS3 transforms (for supported browsers). 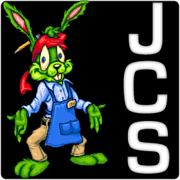 My attempt in porting and improving the old classic game Jazz Jackrabbit 2's official level editor to the web, using the latest HTML5 APIs. 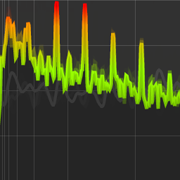 Using the Web Audio API, you can with this analyze your music/sound files. It uses HTML5 Canvas for visualising the realtime spectrum and waveform of the audio. You can choose your own audio files thanks to File Reader API. Talk to strangers! Requires a browser with WebSocket support. Works best in Google Chrome! Epsile works just like Omegle, it connects you to another stranger. You don't know who the other stranger is and the chats are one-to-one. This only works when there are many people using it, as you don't have to wait that long until someone finish a conversation. When you are waiting for a stranger, it waits and picks the first to disconnect from someone else. 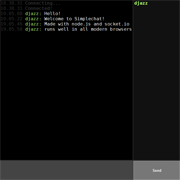 A simple chatroom powered by Node.js and Socket.io. 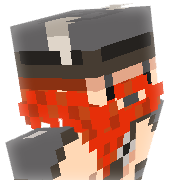 Preview your current Minecraft skin on your Minecraft profile page. 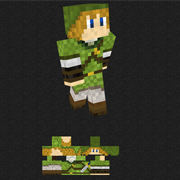 Here you can preview any Minecraft skin, just load it in. Linkify: Get info about Spotify links. 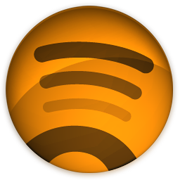 This is a simple Chrome extension that scan pages for Spotify URI/HTTP links. When it find any, it puts a little icon in front of the link and when you move your mouse over the link, you will see information about whatever the link is pointing to. For example if you hover a link to an album, you will see an image and information about that album. If the link is an HTTP link, the extension changes it to an Spotify URI, so you don't have to see the open.spotify.com site. A new beta version of my famous SGIP. It does not have all functionality as the old one, but with cleaner code. 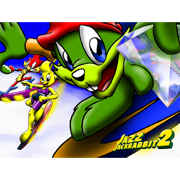 My attempt in porting the old classic game Jazz Jackrabbit 2 to the web using the latest HTML5 APIs.